Born in the UK, on a small island, surrounded by water, you’d think Rob would have started diving much earlier in life – but it wasn’t until he was 30. Rob comes from a military family joining the Army at 16 to go off and become a Junior Leader. He served 14 years in the British Army taking him all over the globe. His busy life and various overseas operations kept him from finding his life’s passion – Cave Diving. Whilst in the Army Rob was heavily involved in various sports, becoming a Physical Training Instructor and a Personal Trainer & Sports Therapist. Even then however, he’d still not contemplated diving. Upon leaving the Army, he was hired by the Americans to work with the US Military in Afghanistan. It was during his six years in the job that he discovered SCUBA diving on an early vacation. In 2006 Rob ventured out to the Red Sea, specifically to Sharm El Sheikh. It was here that he became hooked on the underwater world and undertook his PADI OW and AOW back to back. On returning to work, he would then spend six months planning his next diving trip and what course to take to better himself in this field. As each trip to Egypt came and went, the courses racked up and Rob soon become interested in Tech diving. After taking many TDI courses it was a simple transition into the ‘bubble free’ world. As the years passed in Afghanistan, he decided that enough was enough, quit the job and in 2011 travelled to Thailand to become a PADI DM and OWSI. In 2013, after many years of deliberating whether or not to take his passion to the next level of cave certification, he found himself booking flights and hotels ready to start the course with ProTec, Mexico. 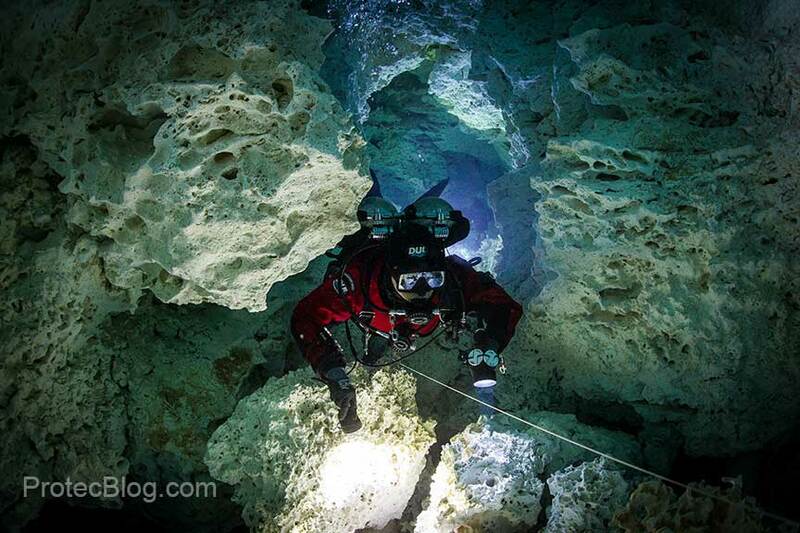 Upon gaining certification as a sidemount cave diver, he knew there was nothing else that he wanted to do. 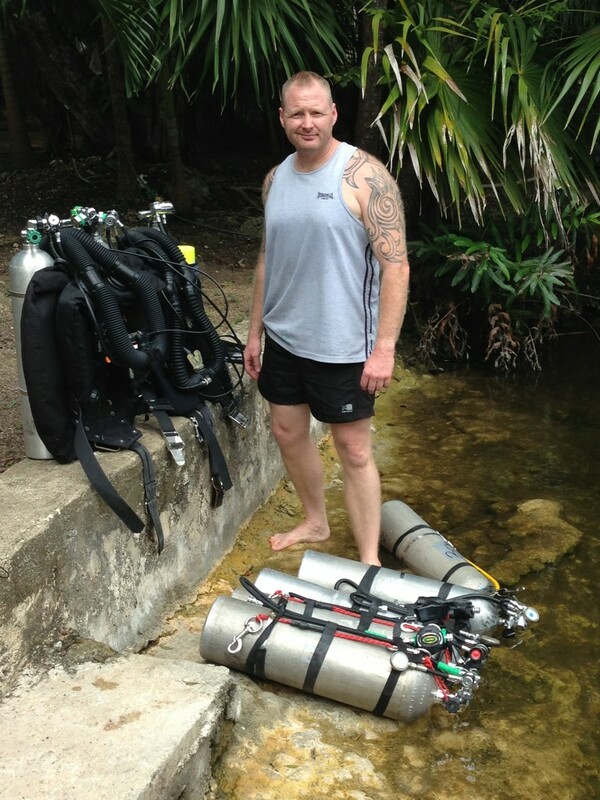 Four months later Rob had moved from the UK to Tulum to undertake an instructor’s internship with ProTec. Now, nearly two years on and many hundreds of cave dives later, he’s found his calling in life; to teach people to safely enter the cave systems of the Mexican underworld. When not teaching, Rob can be found hitting the gym, asking friends and colleagues if they want to dive a couple of stages or finding volunteers to spend as long as possible underground on his CCR looking at the amazing cave systems here in Quintana Roo.